Danica Patrick's No. 10 GoDaddy Chevrolet will have a slightly different look for the 2014 NASCAR Sprint Cup Series season. The offseason has been anything but slow for Danica Patrick. A trip to Las Vegas for the Sprint Cup Series Awards was followed by hosting duties at the American Country Awards, not to mention her upcoming GoDaddy Super Bowl commerial shoot. 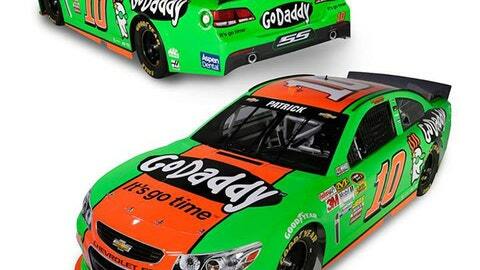 On Saturday, GoDaddy used their racing Facebook page to release images of their 2014 paint scheme. Gone is the rookie stripe, but the green No. 10 GoDaddy Chevrolet will now feature a large, orange stripe down the middle of the car. In addition to her GoDaddy paint scheme, Patrick will also run two races — Las Vegas and Atlanta — carrying the Aspen Dental colors. 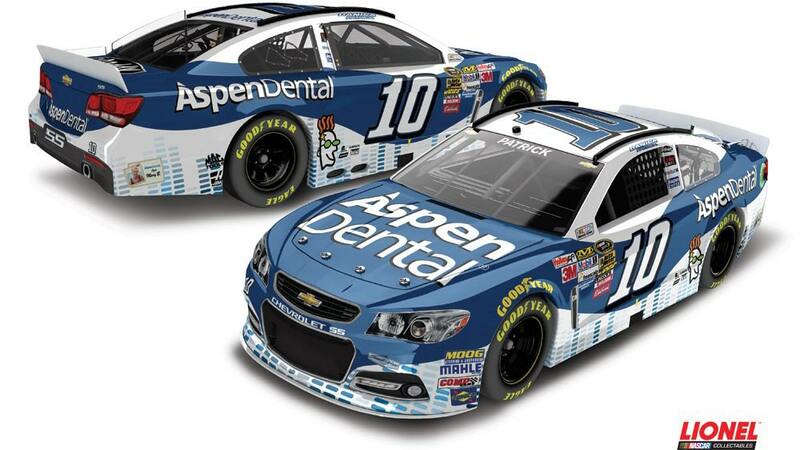 While this paint scheme was released in October, here’s another look at the paint scheme. 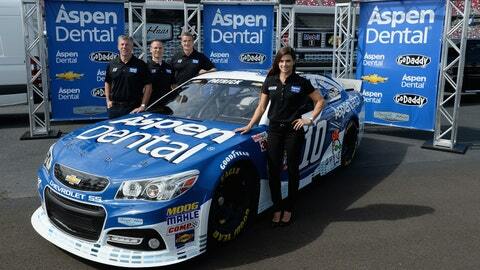 TALLADEGA, AL – OCT. 18: Danica Patrick unveils her 2014 No. 10 Aspen Dental Chevrolet prior to practice for the NASCAR Sprint Cup Series 45th Annual Camping World RV Sales 500 at Talladega Superspeedway on Oct. 18, 2013 in Talladega, Ala.